In a move that surprised players and personnel alike, NFL Commissioner Roger Goodell announced that fines will be given out for kneeling during the National Anthem. 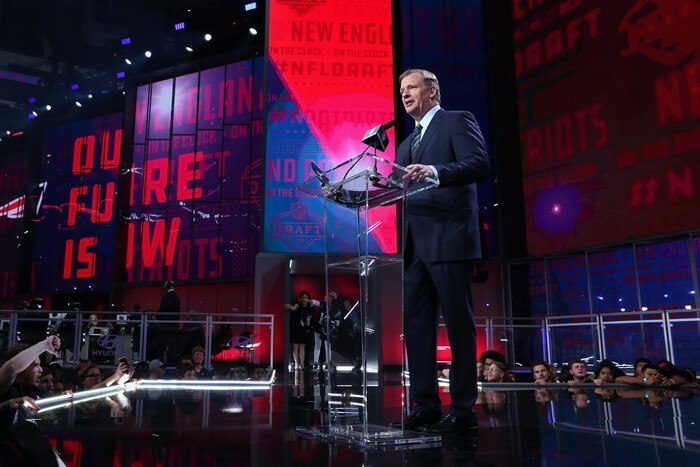 In a recent statement by NFL Commissioner Roger Goodell, it was announced that the league will fine teams and personnel who will not “stand and show respect for the flag and the Anthem". The new policy, that surprised players and personnel alike, reads that "The 32-member clubs of the National Football League have reaffirmed their strong commitment to work alongside our players to strengthen our communities and advance social justice." "The Commissioner will impose appropriate discipline on league personnel who do not stand and show respect for the flag and the Anthem". 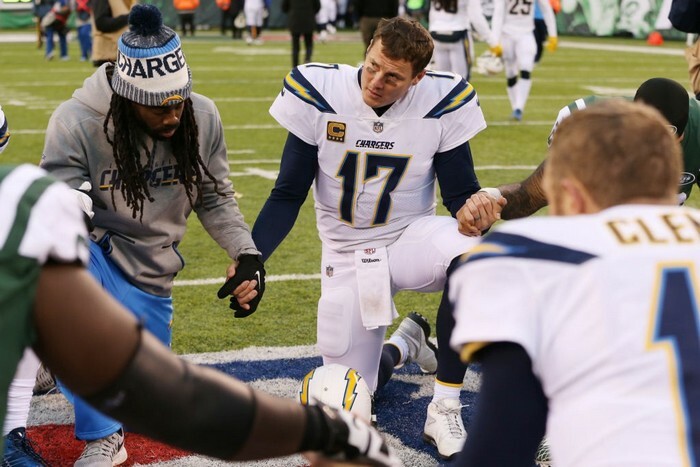 The decision to instill the policy came after former San Francisco 49ers quarterback Colin Kaepernick got down on his knee During the 2016-2017 NFL season as a protest against police brutality. Kaepernick's protest sparked the support of fellow players, who started kneeling during the National Anthem. 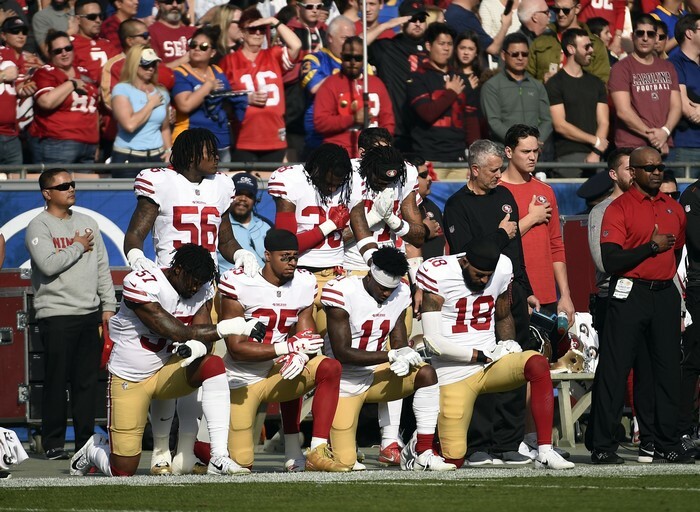 The protest did not go unnoticed as it caused an uproar that caused President Trump to criticize the players' actions. NFL players responded in support of Kaepernick, who they believe was blackballed following his protest. A statement by the National Football League Players Association (NFLPA) was released and read: "The NFL chose to not consult the union in the development of this new 'policy.' 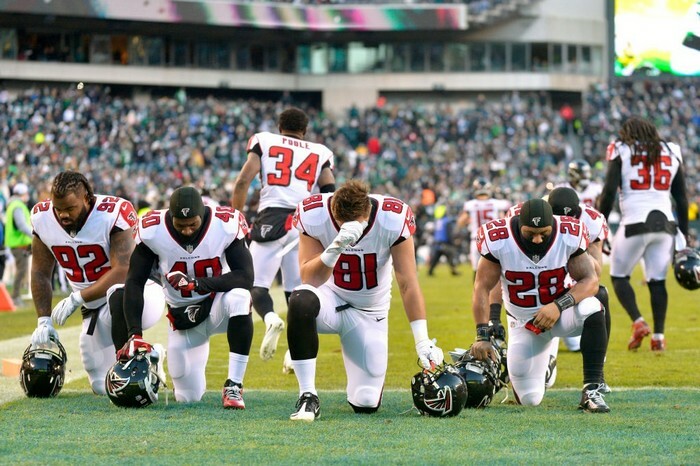 NFL players have shown their patriotism through their social activism, their community service, in support of our military and law enforcement and yes, through their protests to raise awareness about the issues they care about,"
The league also stated that players do have to stand at the side lines during the National Anthem, and that they can stay in the locker room during the ceremony.